We spot whales in out local waters Quite often during the year. The Grey whales stop and feed in Puget Sound as they go North in the spring. 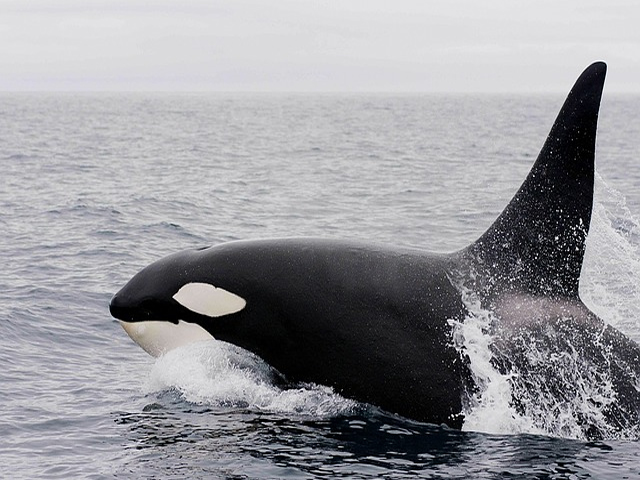 Orca whales Live in Puget Sound. Grey whales are spotted March Thru June.. Most of our Orca whale sighting are in the Fall as the last of the Chum salmon are migrating to the local rivers. Whale sighting are always an added bonus to a fun fishing day.